Kessock Highland Lodges in Inverness-Shire sleeps between 2 and 4 people, with the accommodation being lodges. Surrounded by lush, rolling meadowland in the heart of Highland Scotland, these superbly located lodges offer a luxurious base amidst spectacular mountain scenery. The perfect Highland retreat! 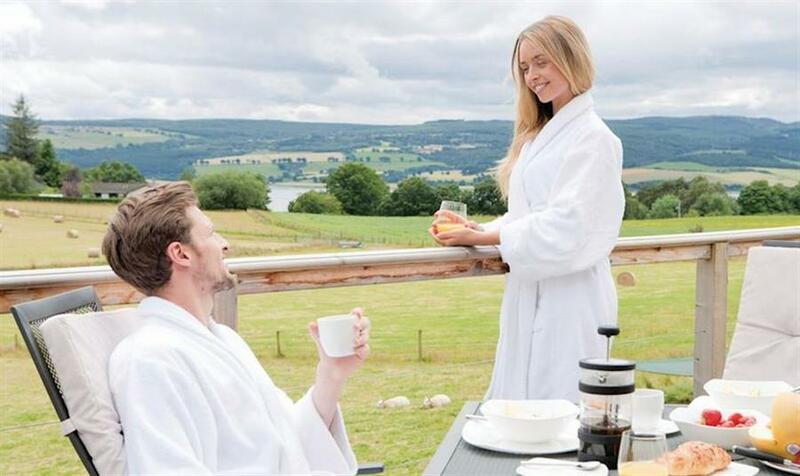 If you want to find out what other people have said about Kessock Highland Lodges, read the reviews on Kessock Highland Lodges for more information. And, for those last minute bargains, have a look at some of the special offers available at Kessock Highland Lodges. "Brand new in 2010. Superb lodge with luxurious and contemporary styling features. One large double bedroom and bathroom with jacuzzi bath and shower/steam cubicle. Open plan living space with stylish kitchen, spacious lounge/dining area and doors leading out to decking with open views. Private outdoor hot tub." "Brand new in 2010. Superb lodge with luxurious and contemporary styling features. One double and one twin (can be linked to form double) and bathroom with shower/steam cubicle. Open plan living space with stylish kitchen, spacious lounge/dining area and doors leading out to decking with open views. Private outdoor hot tub." 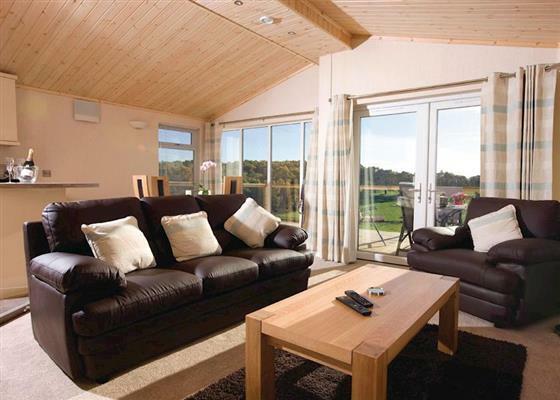 Find out about Kessock Highland Lodges, including prices and availability. There are 40 holiday parks within 20 miles of Kessock Highland Lodges. Woodland Lodge in Boat of Garten, Scottish Highlands, and sleeps 12 people. 27 miles. Ness View Cottage in Fort Augustus, Scottish Highlands, and sleeps 3 people. 29 miles. The Old Tweed Mill in Ullapool, Scottish Highlands, and sleeps 12 people. 40 miles. The Woodpeckers Nest in Invergordon, Ross-Shire, and sleeps 4 people. 16 miles. Tomintoul Cottage in Tomintoul, Banffshire. 38 miles. Island Bay View in Dornie, Ross-Shire, and sleeps 4 people. 46 miles. Shenval Cottage in Ballindalloch, Banffshire, and sleeps 3 people. 39 miles. HillView House in Inverness, Inverness-Shire, and sleeps 8 people. 2 miles. Loch Ness Cottage in Inverness, Inverness-Shire, and sleeps 4 people. 24 miles. Woodroyd in Kyle of Lochalsh, Ross-Shire, and sleeps 10 people. 46 miles. The Old Crab Factory in Helmsdale, Sutherland, and sleeps 6 people. 48 miles. Summer Cottage in Brora, Sutherland, and sleeps 10 people. 39 miles. Peffer Lodge in Strathpeffer, Ross-Shire, and sleeps 10 people. 10 miles. Keepers Cottage in Rogart, Scotland, and sleeps 4 people. 35 miles. Tiverton House in Lairg, Sutherland, and sleeps 11 people. 36 miles. Moray View in Lossiemouth, Morayshire, and sleeps 4 people. 40 miles. Tourie Lum in Avoch, Scottish Highlands, and sleeps 6 people. 5 miles. Ghillies Cottage in Gairloch, Scottish Highlands, and sleeps 4 people. 46 miles. Bynack at Mar Lodge Estate in Braemar, Aberdeenshire, and sleeps 17 people. 47 miles. Treetops in Newtonmore, Highlands of Scotland. 13 miles. Caberfeidh Cottage in Strathconon, Ross-Shire, and sleeps 6 people. 21 miles. Big Skies in Drumnadrochit, Highlands. 13 miles. Birch Corner in Aviemore, Inverness-Shire, and sleeps 8 people. 27 miles. Seaboard House in Balintore, Scottish Highlands, and sleeps 10 people. 22 miles. Wildwood in Aviemore, Cairngorms National Park. 27 miles. Fox Hill Cottage in Loch Ness, Inverness, and sleeps 6 people. 23 miles. Birchlands in Aviemore, Scottish Highlands, and sleeps 6 people. 28 miles. Old Town of Leys Farmhouse in Inverness, Highlands of Scotland, and sleeps 8 people. 6 miles. Firth View in Fochabers, Morayshire, and sleeps 8 people. 46 miles. Scotson Hill Farmhouse in Elgin, Morayshire, and sleeps 8 people. 41 miles. Kirk House in Garve, Scottish Highlands, and sleeps 6 people. 17 miles. Dalvey House in Forres, Moray coast, and sleeps 18 people. 24 miles.